I have lost track of where this week has gone and completely forgot to write an outfit post so it’s a bit of a mismatched one today. 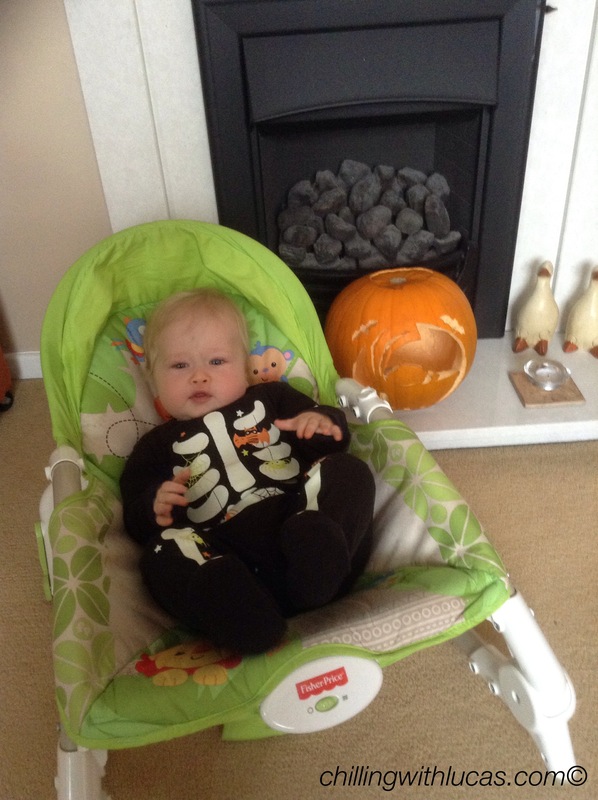 To start with I am sharing Lucas’ halloween outfit which was a skeleton all in one that glows in the dark and a ‘my first spooky halloween’ bib from Tesco. 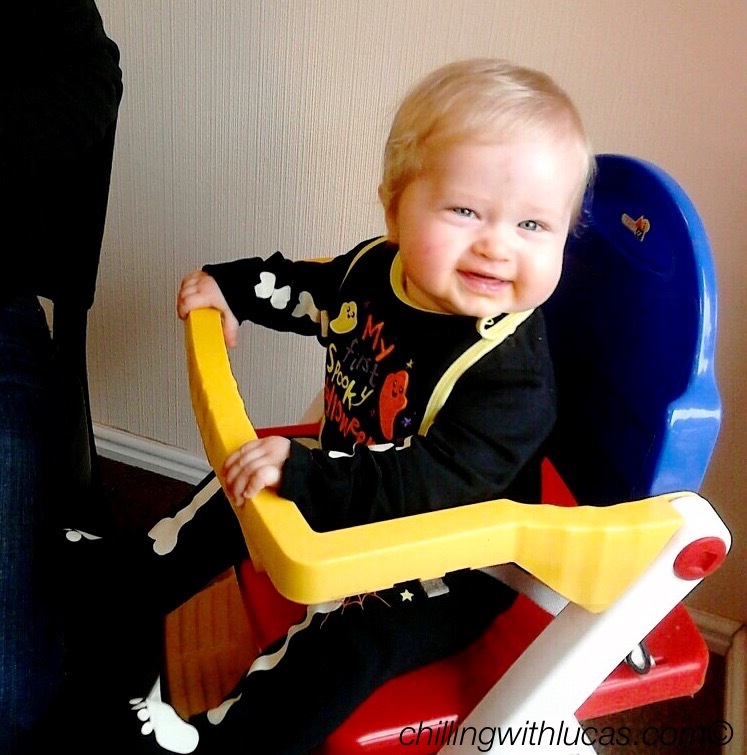 The all in one was £4 and the bib was £2. I’m sure they will now be half price if there are any left in stores. He looks super cute in the all in one. Such a lovely smile 🙂 The first Christmas with our eldest, we went completely overboard with outfits, but she looked so cute! That Christmas shirt looks absolutely amazing. Nothing better than a bow tie on a little one! Can’t wait to see the photo of him in it!! I love that shirt! I saw it in Tesco this morning and was so tempted to buy it. It’s super cute. Love the mixture of seasonal holidays here 😉 That shirt is so cool! Loving the Seasonal outfits 🙂 The reindeer shirt is adorable! 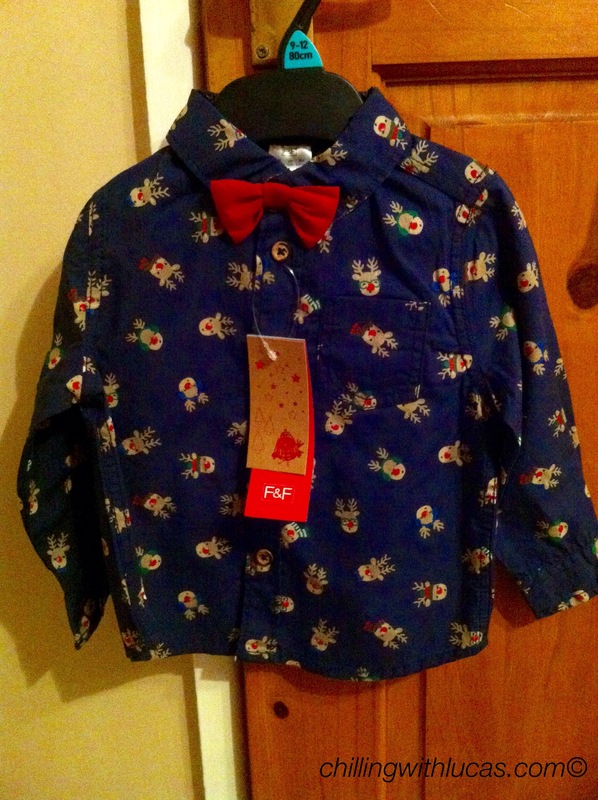 I’m struggling so hard to resist buying all the cute Christmas clothes for Aria!